Has Batman ever developed a Super Soldier Serum (similar to the one that was successfully used on Steve Rogers/Captain America) and administered it on himself? 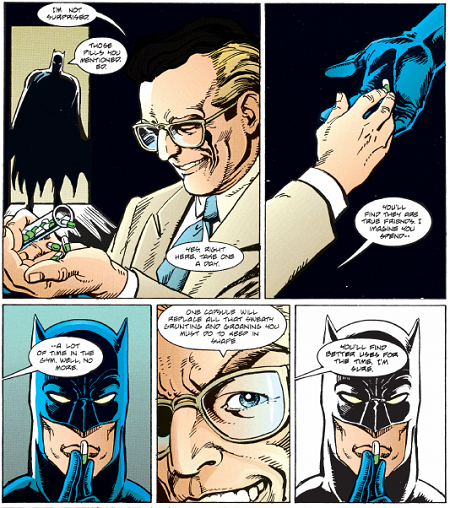 In the DC Universe (main DC continuity) Bruce Wayne/Batman is depicted as an individual with peerless intellect. In the movie Batman Begins, Batman is able to develop an antidote to the fear-inducing hallucinogen developed by Crane and consequently administers it on Rachel and saves her. However in Batman Beyond, Bruce Wayne decides that given his old age his time as Batman is over and subsequently he retires. Thereafter, he trains Terry McGinnis to become the next Batman. So, did Batman ever develop and test on himself a Super Soldier Serum that would have increased his stamina, speed and strength and also slowed down the aging process, allowing him to keep on fighting crime even in his old age? 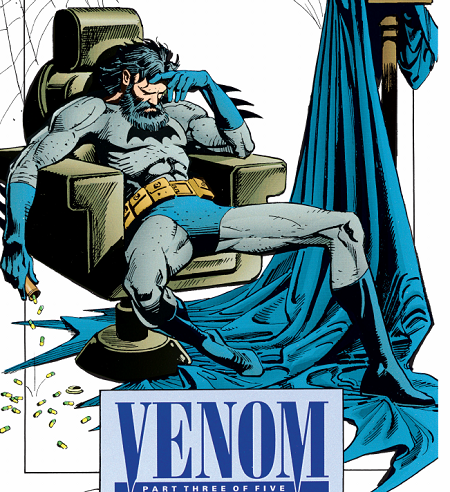 This is quite literally the plotline for the Batman: Venom story-arc in Legends of the Dark Knight volumes #16-20. 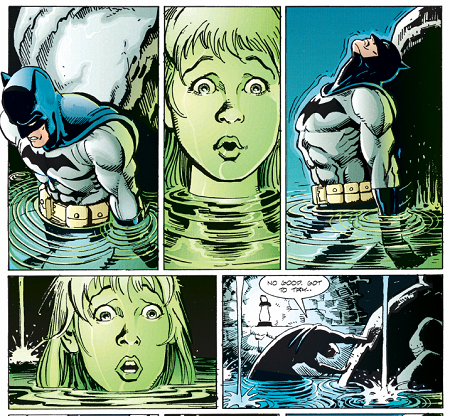 Batman realises that he's not strong enough to help people so starts taking an experimental steroid known as Venom. Suffice to say it starts out reasonably well, but goes bad after a very short amount of time. The (highly addictive) drug vastly increases his strength, but at the cost of making him mentally unstable and open to blackmail. Not the answer you're looking for? Browse other questions tagged dc batman marvel captain-america batman-beyond or ask your own question. How old is Captain America when he receives the 'Super-Soldier Serum'? Are there ANY negative effects from the Super-Soldier Serum? How does the super soldier serum affect the rate at which Steve Rogers ages? Has the Super Soldier serum been successfully reproduced after Rogers? 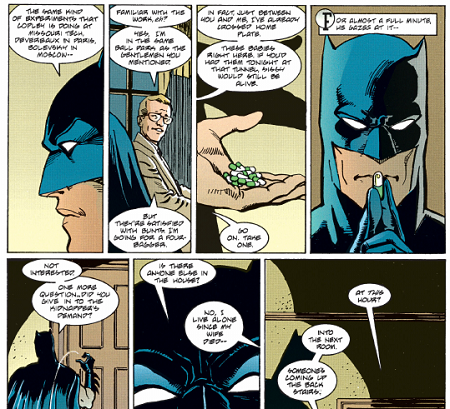 How did Batman develop genius-level intellect?